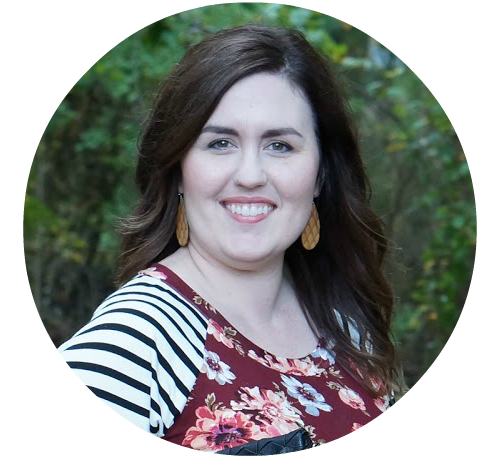 I have used my Inkwell Press Planner referral link throughout this post. All opinions are mine alone. 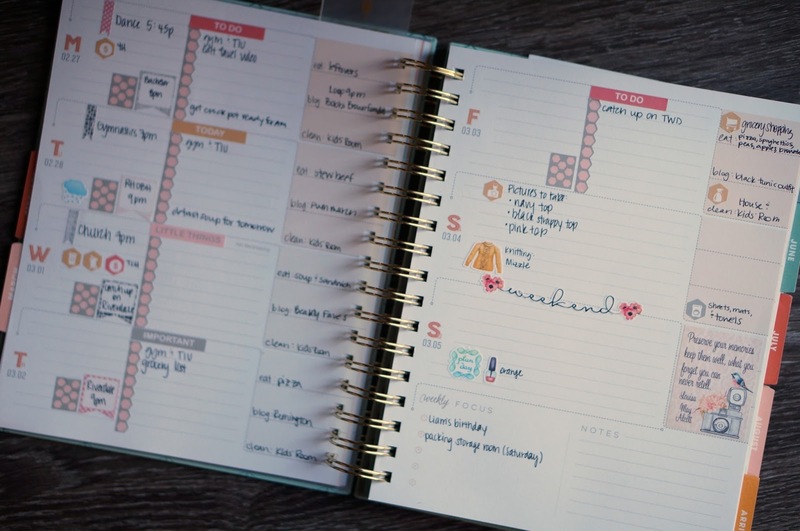 I’ve been meaning to share more about my planning process with my Inkwell Press Flex Planner. I made it a point to take pictures of my layout for March when I was planning this weekend. 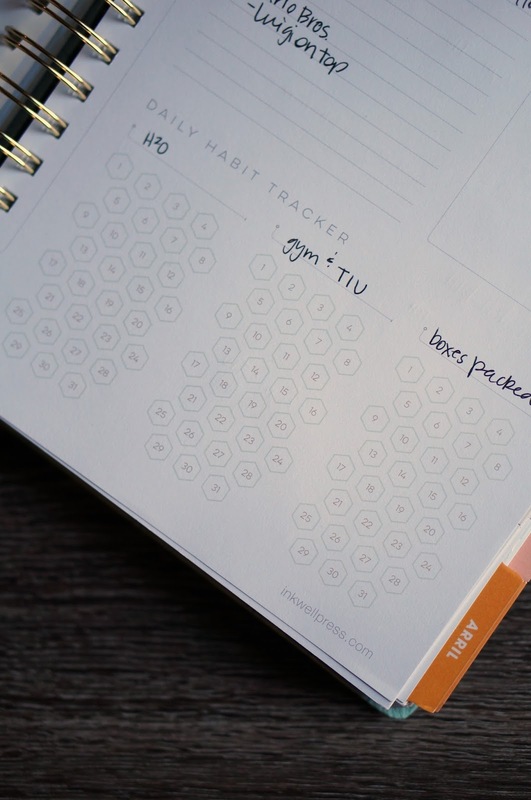 A couple months in, and I’ve gotten into a routine with my new planner. 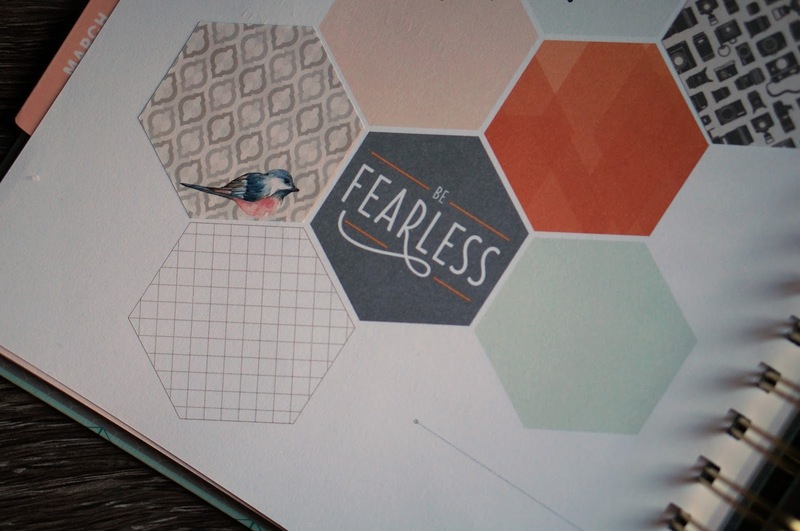 This planner is so incredibly pretty, I wish I’d made the switch to Inkwell Press sooner! Since I’ve had a hard time finding Inkwell Press Planner inspiration, I wanted to share the stickers I’ve been using and the shops I love on Etsy. Here’s my layout for March! I love the tracking page, because I can be intentional with my water intake, my gym days, and any other goals I have on the docket. By and far, one of my most favorite Etsy shops for Inkwell Press Planner stickers has been Luckaty. 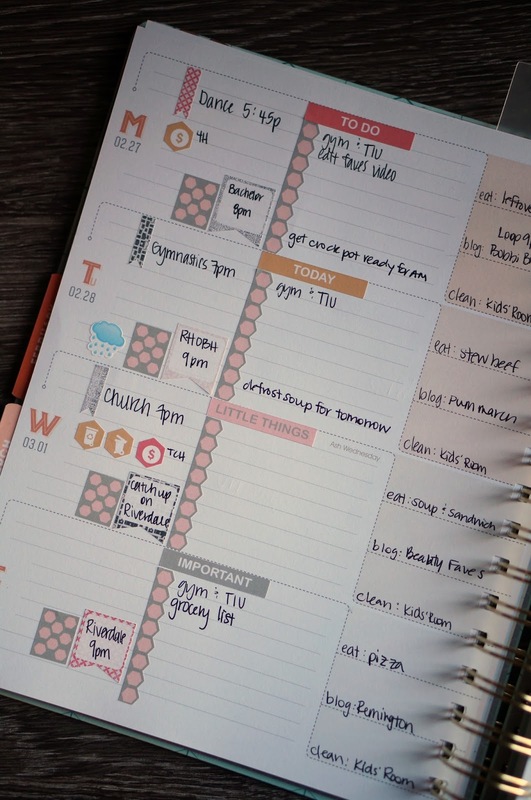 She has kits that coordinate with each of the four color schemes in the planner. You can also buy a la carte items, if you don’t want to purchase an entire kit. Her prices are very reasonable, and I’ve used a coupon code nearly every order. She also occasionally includes freebies, which is always a nice surprise! Another one of my favorite shops is My Newest Addiction. She does not market her shop as an Inkwell Press Planner sticker shop, but she has some color schemes that look very pretty in my planner. I started using her stickers last year in my Erin Condren. This weekend sticker is leftover from a ‘weekend’ sticker sheet I purchased. They are just to pretty to not use! Another shop that I LOVE is Symposi Press. Julie runs Symposi Press, and I first saw her work in the Ravelry shop. I have purchased many sheets from her. I love her holiday stickers, knitting stickers, hydration tracking stickers, and her nail polish stickers. They are all so gorgeous! 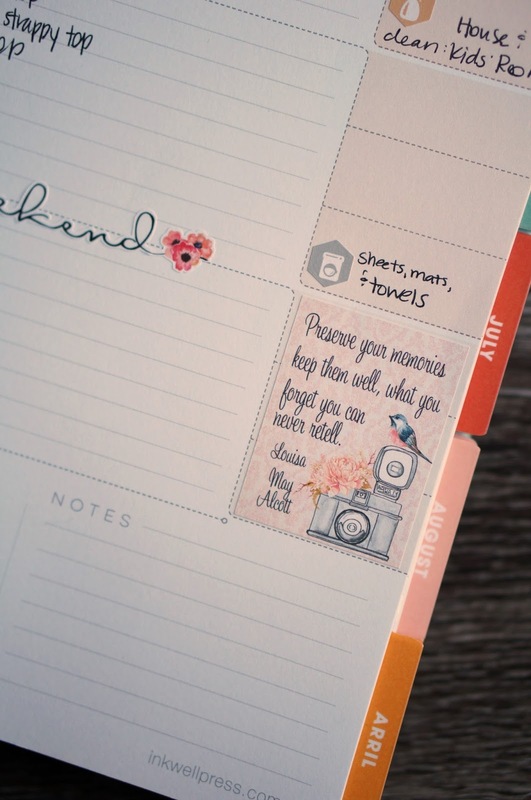 What stickers do you love to use in your planner? Let me know!